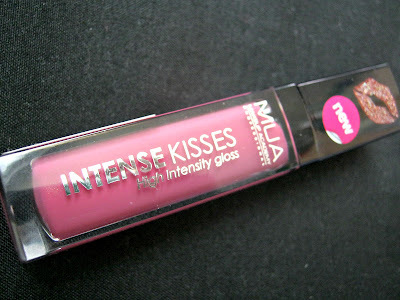 Today I'm reviewing the new MUA Intense Kisses High Intensity Gloss which has quickly become, no exaggeration my favourite product of October. I picked it up in the shade Lips Are Sealed. Its your basic pink, not too hot pink but also not baby pink. I didn't want to pick up a colour too crazy seeing as they are named as a high intensity gloss. 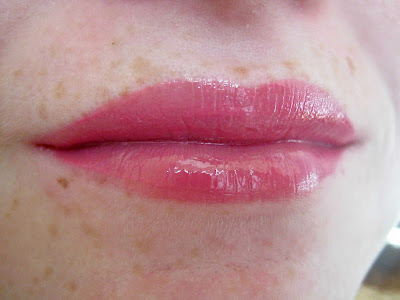 It comes out a really lovely shade of pink that I'm sure will compliment all complexions. It has a faint shimmer running through it but it doesn't really show up on your lips. 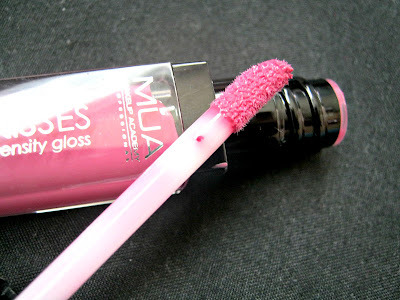 This lip gloss is by far my favourite at the moment. I expected it to be a thick, sticky and uncomfortable gloss but I couldn't have been more wrong. 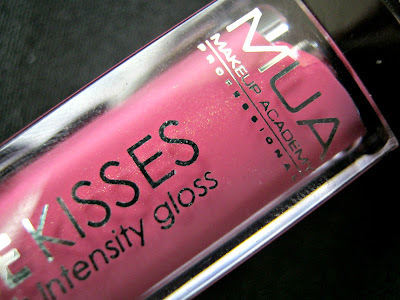 This is a thicker gloss than some but it certainly doesn't feel like it on your lips, after about 5-10 minutes it felt like I wasn't even wearing anything but the colour was still very pigmented and intense on my lips, as the name would suggest. This lasted around 4 hours before it had completely worn off my lips, after about 2 hours it was starting to show signs of wearing off and by 4 hours it was gone. I think this is a pretty acceptable time length for a gloss, especially one that only costs £2! One thing which put me off glosses for a while was sticky lip glosses but I am can definitely say that this isn't sticky at all. It feels moisturising and smooth on my lips. Overall I think I will definitely be purchasing quite a few more of these and I think you should too, this would be a great addition to any beauty bloggers collection and it won't cost you nearly as much as it would to buy at MAC! They come in 8 different shades ranging from a sparkly peach to a vampy red and they cost £2. Do you like the look of them? Tell me below, I reply to every single comment!